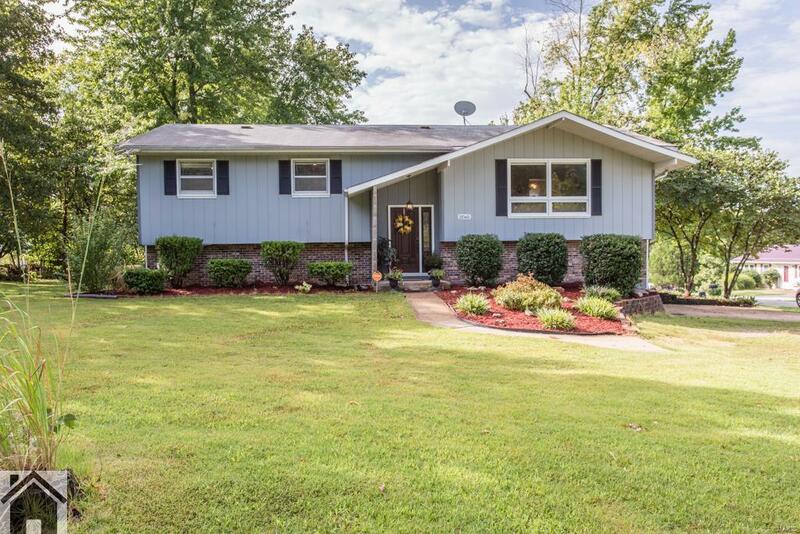 Large, Traditional, Updated Split Level! This four bedroom, three bathroom home is spacious and features many fabulous upgrades! Enter the foyer and step up the laminate wood steps into the living room, which features laminate wood flooring. 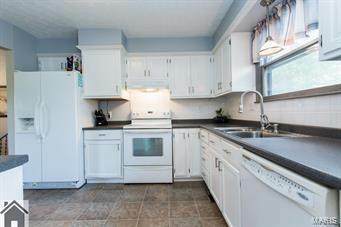 The kitchen is bright and cheery, featuring lots of counter top space, white cabinets and white accents. Next, get away in the king-sized master bedroom, which has a nice walk-in closet. 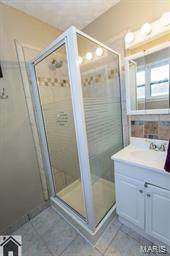 Its adjoining bathroom has ceramic tile flooring, and a separate shower. Downstairs the basement features a huge unfinished space with washer and dryer connections. 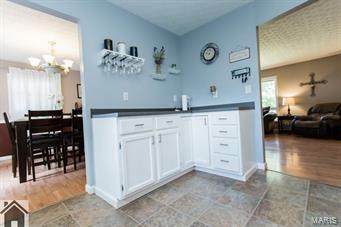 Enjoy the recently updated laundry room with added cabinet space for your clothes. Relax in the family room which has a great built-in entertainment center!! For convenience, the garage has built in storage shelving and plenty of room for your misc. items Additional features include a new deck, fence, roof, flooring and windows. Approximate total sq ft. is 2236.